The statistic shows the results of a survey on how often Canadians brush their dog's teeth in 2016. 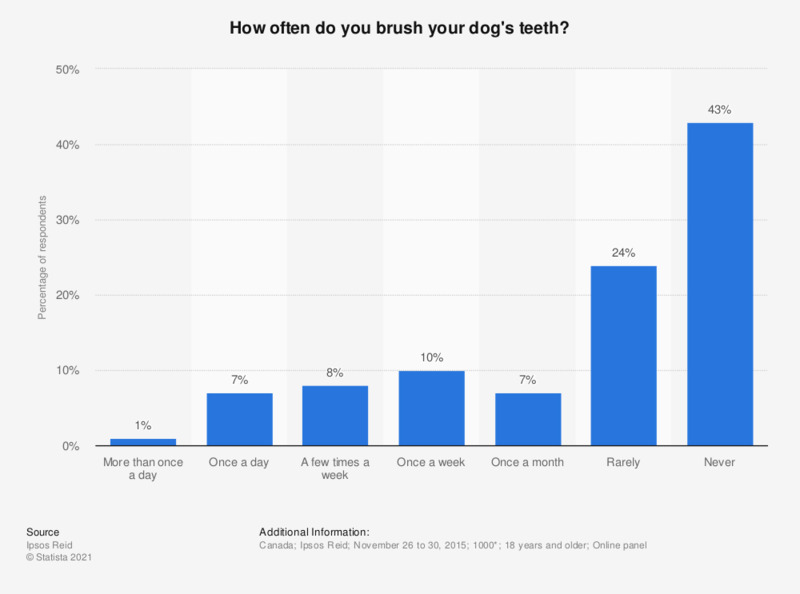 During the survey, 1 percent of respondents said they brush their dog's teeth more than once a day. * 602 cat owners and 592 dog owners. Canada: How often do you brush your cat's teeth?